The corner of Empire and Linden Streets in Bloomington is one of many city streets dotted wth large potholes. 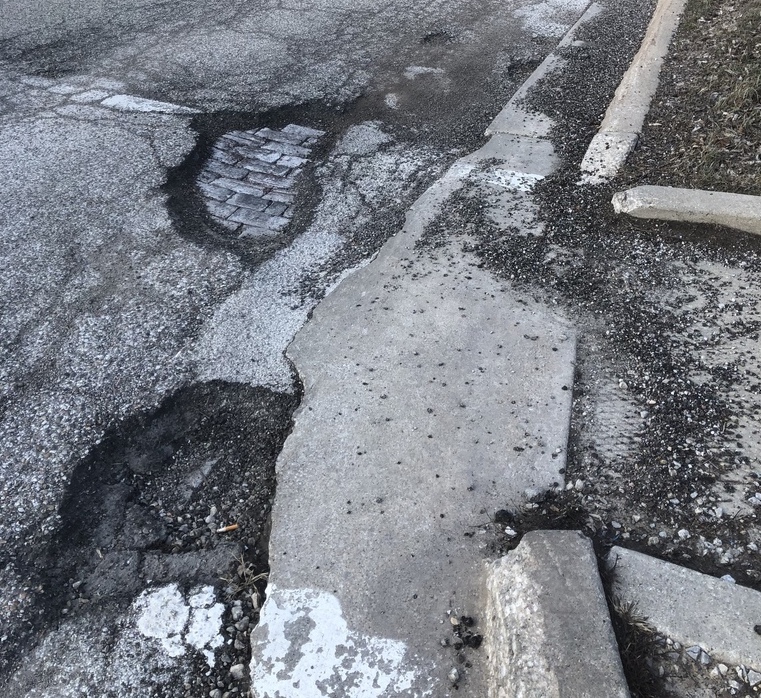 This winter, potholes can be added to the list of distractions drivers face in Bloomington-Normal. This issue has become serious enough that motorists who fear damage to their vehicles sometimes swerve suddenly in a manner not conducive to safety. 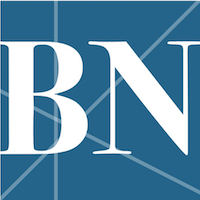 On February 23, The Pantagraph reported that Bloomington had six crews and Normal had eight crews working overtime to fill hundreds of potholes reported by the public. Due to the enormity of the problem, workers had to be pulled from other assignments to form the additional crews. Because of the extreme and fluctuating weather patterns, Illinois cities require a proactive approach to potholes. One responsibility of our elected officials is to make sure adequate funds are allocated for basic city services such as road and sewer maintenance. Karch began his career with the city in 2000, a year that no money was spent on repaving. 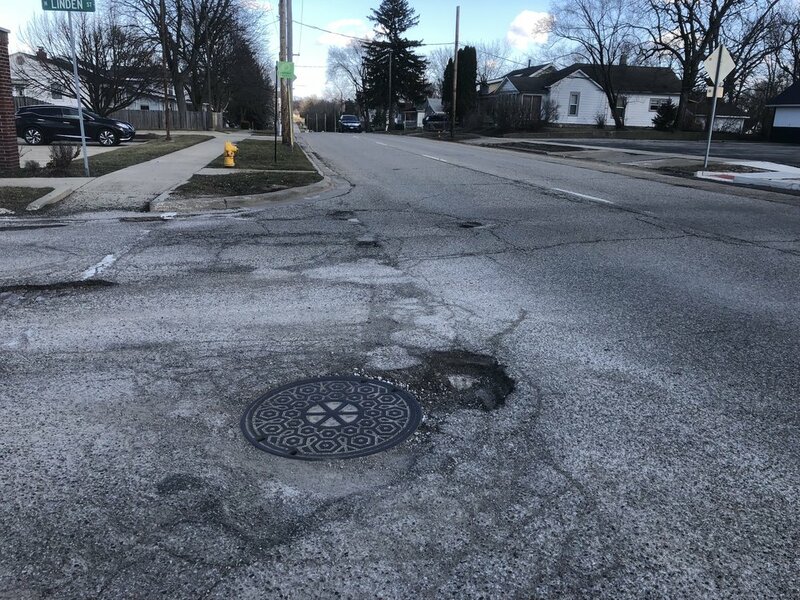 Given the road conditions in many areas of Bloomington-Normal, it appears that road maintenance is largely underfunded and has been for many years (except in 2014 when the City of Bloomington borrowed $10 million to repair streets as well as aging sewer and water lines. Both Bloomington and Normal face tight budgets for 2019, including a nearly $3 million budget gap for the City of Bloomington. In times where money is tight, officials should use revenue dollars for needed projects, not wanted additions. Ideally, funding should not need to be borrowed for basic services. Road maintenance and other necessary, ongoing expenses should be prioritized in the annual budget. Illinois cities require a proactive approach to potholes. Citizens who are concerned about road conditions can and should contact their aldermen. Phone numbers and email addresses for aldermen are available at http://www.cityblm.org/government/city-council/aldermen-info for the City of Bloomington or http://www.normal.org/88/Mayor-Town-Council for the Town of Normal. Meanwhile, residents who see potholes or have vehicles damaged by potholes should report it to city officials. Bloomington residents can use the MyBloomington app, call the pothole hot line at 309-434-BUMP (2867) or email publicworks@cityblm.org. Normal residents can call 309-454-9571 or file reports online at Normal.org. For state roads, call the Illinois Department of Transportation (IDOT) at 1-800-452-4368 or report online at www.idot.illinois.gov/.